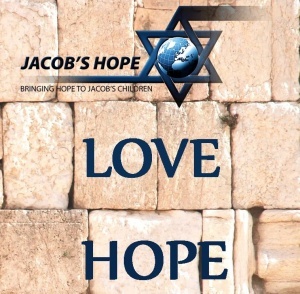 Brent Jonson, director of Jacob’s Hope, delivered over 1000 prayers to the Western Wall located in Jerusalem, Israel in December. The prayers were from General Council of the Assemblies of God 2017 (GC) and The World Missions Summit4 (TWMS4). Furthermore the prayers were originally put into the display wall at GC and TWMS4 by participants. The participants were wishing to have their prays inserted into the original Wall in jerusalem. The students at TWMS and GC participants had their prayers put into the Western Wall in Jerusalem. The prayers were for friends , relatives, churches, congregations, and themselves. Also everything else they wished to bring to Yeshua by way of the Western Wall in Jerusalem. First, the Western Wall is a significant part of the glory of the Second Temple at its peak. The Wall is also a place of longing for Jerusalem, unity, and celebrate the holidays. The Wall is a symbol of the revival of the Jewish people in this country on holidays, for ceremonies and memorial days. The Western Wall in the midst of the Old City in Jerusalem is the section of the Western supporting wall of the Temple Mount. Which has remained intact since the destruction of the Second Jerusalem Temple (70 C.E.). It became the most sacred spot in Jewish religious and national consciousness and tradition by virtue of its proximity to the Wall of the Holy of Holies in the Temple, from which, according to numerous sources, the Divine Presence never departed.